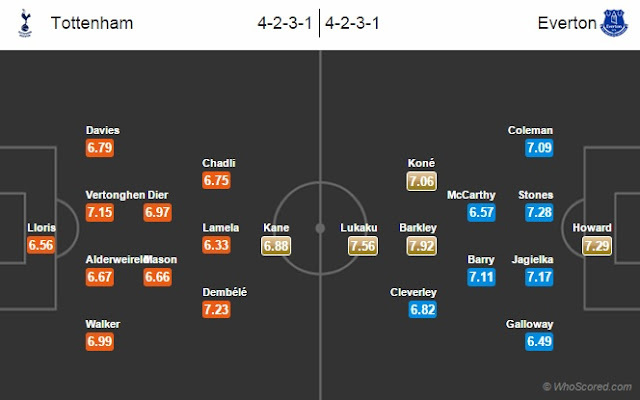 Possible Lineups, Team News, Stats – Tottenham vs Everton: Kick-Off: 17:30 BST Date: Saturday, 29th August, 2015 Venue: White Hart Lane, London Referee: Mike Jones. Tottenham and Everton will go head to head in a late Premier League game today at White Hart Lane. Spurs midfielder Christian Eriksen is out with a knee injury. Erik Lamela is likely to start behind striker Harry Kane. Andros Townsend is also on the sidelines with an ankle problem. Youngster Dele Alli who impressed in the last game could start this game, but is likely to take the bench once again. Manager Roberto Martinez could start with a same lineup as of last game despite knowing that John Stones would be leaving the club in the next few days. Brendan Galloway is doubtful for this game, he picked up a minor injury in a last game against Manchester City. Duo stars Steven Pienaar and Leighton Baines are both out with injury. Everton have now won any of their last six Premier League games against Tottenham at White Hart Lane. Everton have not won at White Hart Lane since 2008. Spurs have kept three cleansheets in their last four game against Everton. Everton have won their two previous games in London. Tottenham 1 – 1 Everton, Harry Kane on the scoresheet for the home side.